Seeing a new book out there for sale is always an exciting time and every time one of my books comes out I get questions about what it takes to write a book and get it published. Often I hear those comments many writers get -- “I always wanted to write a book, but..” and then the excuses come. They could never find the time to work on their writing, they could never figure out how to develop characters, they could never figure out how to go about trying to get published, or some other excuse. Dreams don’t come true if you don’t take steps to make them happen. 1. Plan: Make a writing plan and stick to it. At one of the recent conferences I attended, I asked a multi-published author where she got her ideas. Her response surprised me. “It’s not finding ideas that slows me down. It’s finding the time to write.” She followed up with the advice to make time to write every day, no matter how busy things get. Another multi-published author said she gave up television for two years and forced herself to write a few words every day. My goal is to make writing a daily habit. Not long ago I read a blog that quoted a famous basketball player who said he had to “touch the ball every day.” I wrote that down and printed it out in big type and now it is taped to my computer monitor. 2. Plot: Know where you want to go in your career, and plot a course in that direction. Decide what you want to write, and then research publishers and agents. It makes no sense to waste time submitting to houses that don’t handle your brand of writing. Getting a response takes long enough as it is. Not long ago I heard several agents say they look for writers who aren’t experimenting with different genres. They want to build a writer’s career, and they want to work with a writer who has already figured out her/his strong points. 3. Promote: Don’t be afraid to promote yourself and your work. Writing is a lonely endeavor, and most writers are notoriously bad at promoting themselves. But how else will you get your name out there to fans, to booksellers, to editors and agents? Find groups or people with similar interests that you can talk to. For years I coached young writers and taught on a one-to-one basis. Now I find that there are insights I have that I can use to teach to others, and I have been teaching classes. 4. Pitch: Don’t underestimate the power of a good pitch. Be ready to query and submit. I’ve known writers, who have finished several works, and they are good writers, but they are afraid to put their book out in front of everyone. 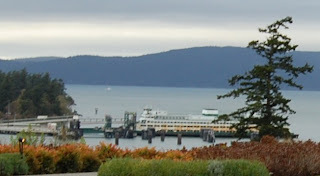 At the same time, I met a young woman recently who had finished one book, and she was ready to tell the world about it. Something tells me she will probably be more successful than the writer who keeps her work hidden away. 5. Persevere. Hang in there and don’t give up. This last point really hits home for me. Yes, I have been writing for 20+ years. I’ve told this story over and over, but the one thing that always gets me is that 20 years ago I gave up. I stopped trying to get published and went in a different direction. I never stopped writing, though, and I always kept that little dream in the back of my head. Twelve years ago I decided to try again and it took a few years, but now I do have books and short stories out there. These days with the growth of self-publishing and e-publishing there are more opportunities than ever. So I say again, if writing a book and getting it published is your dream, go for it. There is nothing quite like the day that your book finally comes out. Days and nights of writing, weeks of editing, months of waiting! And then, there it is, with a great cover, up on a webpage ready for sale. My new suspense novella SHADOWS FROM THE PAST came out today, so naturally I was up early, hesitating as I opened The Wild Rose Press publishing website, half afraid it wouldn’t be there, although I knew it would be. Should be. The fabulous cover, the tempting blurb, and a sale price! Yes, it is on sale at the moment. 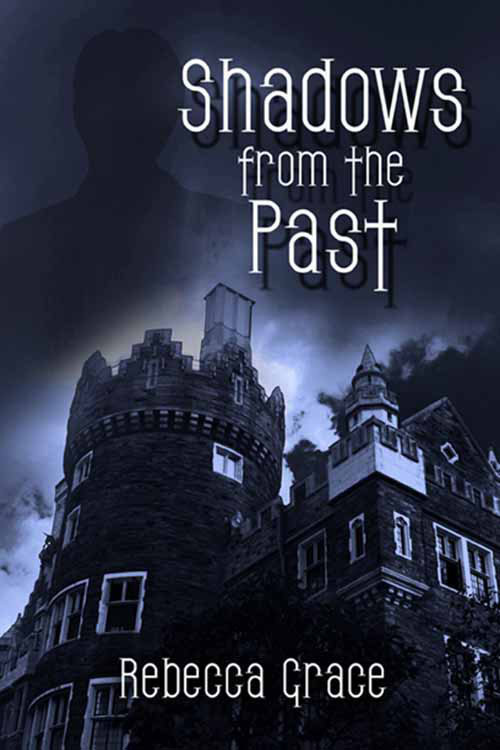 As I’ve written previously, SHADOWS FROM THE PAST was a joy to write because for me it is my homage to the gothic tales that made me love reading and writing romance. When I started reading suspense many years ago, I loved the stories where the young woman came to the strange house that held so many secrets. I absolutely loved JANE EYRE and then came WUTHERING HEIGHTS with its mysterious landlord Heathcliff and his lost love. Naturally I fell in love with Manderely in REBECCA and then came Victoria Holt and Phyllis Whitney. I read every Whitney book I could get my hands on. She always had a wonderful gothic setting that was true to whatever far flung location she used. I was also a big fan of DARK SHADOWS with its dark mansion and all the secrets inside. The thing I’ve always loved about gothic romances besides the spooky setting is the presence of similarly spooky and mysterious characters. Barnabus Collins, anyone? Or how about that strange Mrs. Danvers? And then there were those gray days that seemed to fill the gothic stories--lots of fog and low hanging clouds. Lots of mist. Actually today was supposed to be snowy in Colorado, but as though the weatherman knew it was my release day, we have been given a cold, drizzly day, just the sort that I wrote about in SHADOWS. Today we have a guest blogger joining us. She is Donna Shields who grew up on romance and scary stories. With her love for suspense and the slightly unusual, she enjoys tying these elements together to create stories full of love, danger and the paranormal. She lives in the beautiful upstate of South Carolina with her husband, her children, and some great haunts. She’s a mom, a ‘gramma’, a wife, a friend, an avid reader and writer. When she’s not occupied with all that, she loves traveling to Playa del Carmen and Jamaica. She's here to look at building great characters. Donna? Great three dimensional characters and a remarkable story plot are the key ingredients to any fantastic book. Yes, there has to be conflict, setting, black moment, and change. But all of these build off of your characters and plot. I want to talk about character building. This can be a challenge to some people, and it is for me. How the creating works for me is I already have a rough story plot and know at bare minimum how my characters need to be. I’ll try to work with one of those character interview charts. At least that gives me the basics such as eye color, marks/tattoos, skin tone, etc. What I found that really builds my hero and heroine is sticking them in the story, in each scenario under different circumstances allowing them to react. How they behave builds their individual characterization, their thought patterns, their reasoning, and their reactions. My heroine in Secrets of Jenkins Bridge is put through torture on different levels. Katherine has always been the safe girl. Quiet, pleasant, going with the flow of life. Never one for adventure or reading someone off. That is until she’s run off the road, her daughter is kidnapped, her old flame (who is her daughter’s real father and neither know it yet) has come back to town and is put in charge of the kidnapping and attempted vehicular manslaughter cases, and her deceased ex-husband has risen for the murky waters of death. She discovers her inner strength and her own independent thinking. And that she has what it takes to go find her daughter. I’ve put her through the wringer to build her into someone she always was, just undiscovered until she’s thrown into the middle of all kinds of chaos. In the current story I’m working on, The Boneknapper, it’s my hero being tested on multiple levels. He’s close minded, a doctor who lives for only his job and his one night flings with the next available woman, and believes in absolutely nothing except medical science. He does believe in helping the sick and he’s usually completely committed to healing them. He also believes that anyone poor must have put themselves in that position and therefore if they won’t help themselves, then he certainly won’t. There’s no belief in an afterlife, no belief in any religion. So, when a Voodoo curse is placed upon him and three others, he has a hard time believing it’s real. He’s getting progressively sick though and falling in love with the detective sent to protect him and solve the case of missing bones out of desecrated graves including the grave of my hero’s father. He’s realizing there’s more going on than coincidences and begins learning the good and bad of Voodoo, and that there are poor people who aren’t given the chance to succeed. His mind is opening to all things he never believed in and with that is finding he actually has emotions and really cares for the poor people. And all he wants to do is live and prove his worth to his heroine, the detective. I believe the best way to build your characters is to just throw them in head first and let them sink or swim. It’s amazing how well developed the characters become. Thank you Donna. 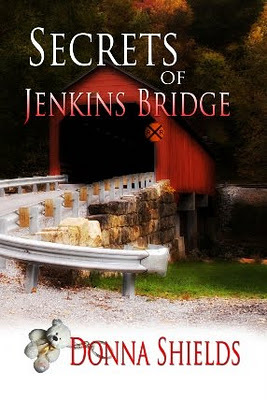 Here is a little more about her new book, Secrets of Jenkins Bridge. Please feel free to leave a comment. Donna is doing a month-long blog tour on her new book and she'll be giving away a pile of goodies at the end of the month, including a mousepad, key chain, t-shirt and poster calendar. More than forty years ago I bought my first how-to book on writing. I can’t remember the title now--I’ve long since donated it, but I do remember reading it cover to cover and marking passages I wanted to remember and work on in my writing. I was 19 years old then and struggling to earn enough money to get back into college to finish my final two years and get a degree in journalism. I was living in the YWCA in Colorado Springs and staying in a tiny room right off the basketball court working as a clerk typist and dreaming of the day I might become a writer of fiction or non-fiction. Buying any book was a major investment back then since I was trying to save money. Lunch was a 20 cent hotdog and dinner every night was a ten cent can of soup (yes, soup only cost ten cents!) but I did try to budget for buying books. Most of the time, I got all my reading material from the local public library, but I sprung for the three dollars to buy that writing book. It began a trend for me. Ever since then, I am always on the look-out for new books on writing. My circumstances improved and now I find myself with whole bookcases of books on writing. That little old book of mine would definitely get lost in there. But it did get me started. Back in those old days I spent most of my evenings reading my writing book doing the exercises or just writing stories into a ringed binder. Every time I buy a new book on writing I think I’m going to get all the way through it and even try some of the exercises. I don’t, but I find that I do manage to learn something new or try something different as a result of almost every book I buy. This year I’m resolving once again to clear out some of my book shelves and I started looking through some of those writing books. Which to get rid of? Which to keep? Wow, what a dilemma! Well, it’s going to be a slow process because I know there are hidden gems in almost all those books. I’m going to start looking through them and seeing what they have to offer and blog about what I find in some of them. I’m going to start with what is closest to me--the books on my desk. I always keep several books on my desk next to my computer in case I need them. Do you keep reference books by your computer? Yes, we can always look things up online, but it’s comforting not to have to leave my WIP page to get a quick answer. During all those years writing TV news, I always kept an AP Stylebook handy and I still have it there. It’s great for looking up things quickly like numerical use or street numbers. I also have a Chicago Manual of Style but it’s kept back on the bookcase for weightier issues. AP is great for quick, easy questions--everything from what a baseball box score looks like to whether or not to put a hyphen in hanky-panky to what a hedge fund is. I also keep a Grammar Desk Reference from Writer’s Digest nearby too. I like its simplicity. It’s divided into four parts, including grammar usage, rules, and punctuation and you can find can easily find the answers to any grammar problems fairly quickly. I like using it because it allows me to look for answers while keeping my current work up on my computer screen. It’s good to go through sometimes too, just to get a refresher in things like the use of dangling modifiers or proper pronoun agreement. The authors use actual mistakes in newspapers and magazines to show improper usage, just as a way of letting us all know that mistakes often make it into print. When I’m editing I need Browne and King’s Self Editing for Fiction Writers close at hand, though I always keep it nearby. The book is well worth reading and the checklists at the end of each chapter are wonderful to go through while you are editing. I still find myself referring back to it when I have questions about my writing.